SideSwiper Net -- SSN: N0JL's keys. I am 59 years old and have been a ham for 42 years. I have been using a side swiper since about June 1, 2008. It is a great deal of fun. 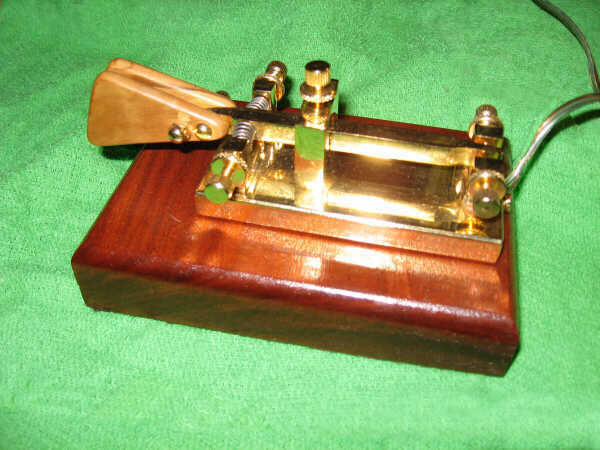 This key is an LTA BBMO (gold plated, solid brass base, 10x5 cm) sitting on a one inch high wooden base. September 2008. [N0JL].